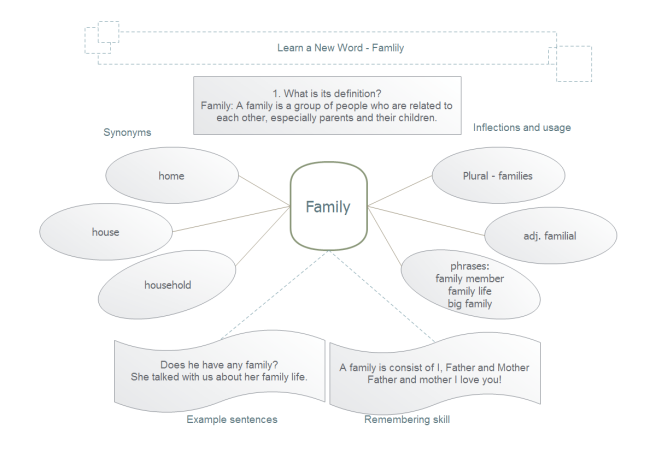 Description: A free customizable template about learning a new word is provided to download and print. Quickly get a head-start when creating your own diagrams about learning a new word of a second language. Click here to see more English learning skills.